“To care for him who shall have borne the battle and for his widow, and his orphan” embody our nation’s obligation to do today, for our veterans, what must be done on every Veterans Day. We must always remember and never forget their service to our country. a. As Sons of Union Veterans of the Civil War, we join together in giving honor to all who have faithfully served our country in any war. We seek out, care for and mark the graves and memorials of Civil War veterans. May this day act as a reminder that we shall never forget and always shall honor the service of our veterans in all of the armed forces of the United States of America. b. I hereby request that all Brothers and Camps in the Department participate, on Sunday, November 11, 2019 and Monday, November 12, 2019, in such commemorations, memorials, parades, services and events as may be held for all veterans in your communities. Honor a veteran and thank a veteran. 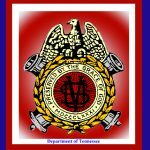 c. The Department of Tennessee with Alabama and Mississippi salutes all veterans who have served or are currently serving in the military and commends them for their service and their sacrifice for the good of our nation. Your service and sacrifice shall never be forgotten.